Item # 316390 Stash Points: 2,495 (?) This is the number of points you get in The Zumiez Stash for purchasing this item. Stash points are redeemable for exclusive rewards only available to Zumiez Stash members. To redeem your points check out the rewards catalog on thestash.zumiez.com. 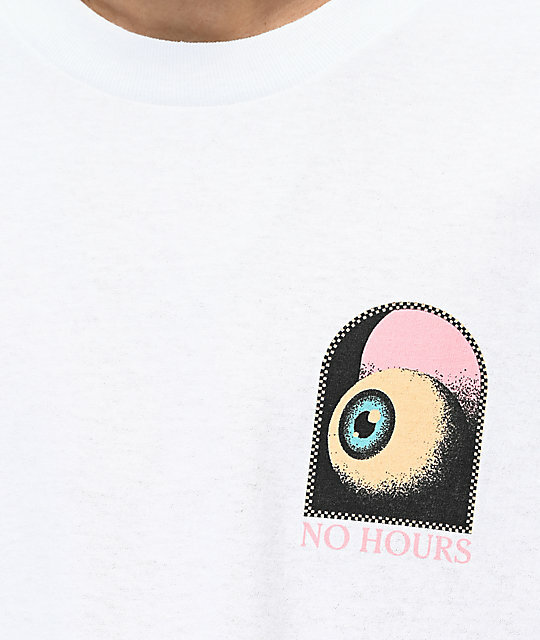 Offering a touch of surrealism to your laidback looks, NoHours presents their Hourglass White T-Shirt. 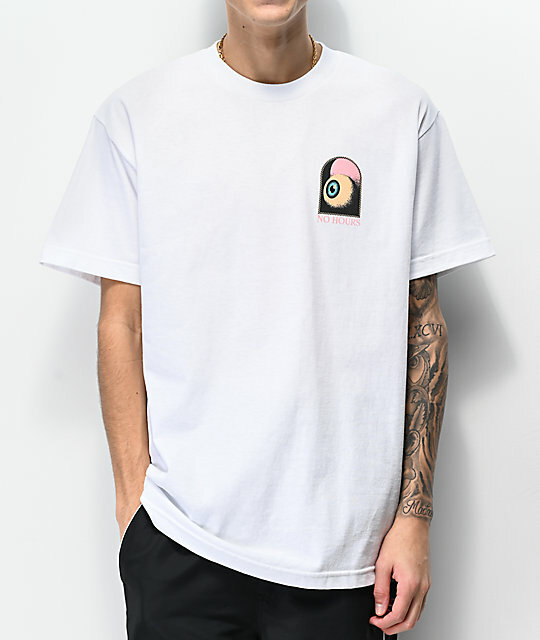 The back of this white tee features a large screen-printed graphic of a tropical beach background, a large hourglass on it's side, and a single eyeball, all of which are depicted in warm, pink and blue hues. 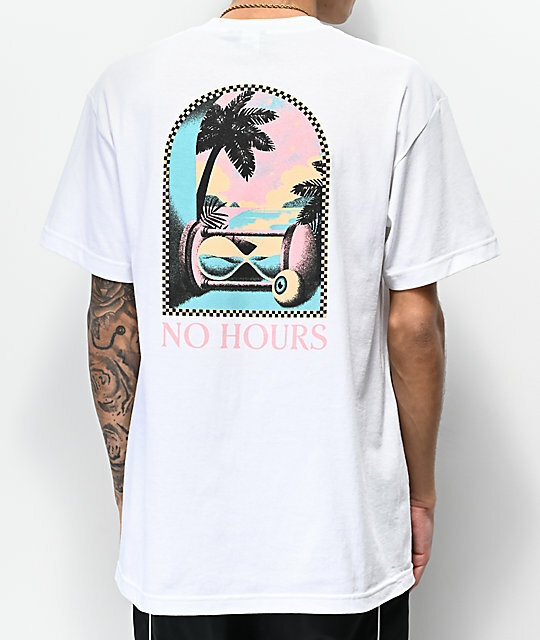 Hourglass White T-Shirt from NoHours.